Sleep apnoea is a serious medical condition. As you relax into sleep, soft tissues at the back of the mouth collapse, closing or partially blocking the airway. This condition deprives the brain and body of vital oxygen. It results in repeated awakening that prevents the body’s essential regeneration processes. 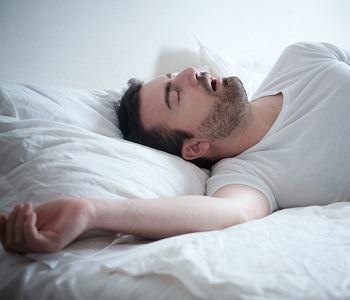 Current research also points to potential oral problems caused by sleep apnoea. Dr. Terry Rose and his team of dental professionals in Sunbury and Moonee Ponds share this information. A dental implant is a small post, surgically placed into the jawbone to replicate the root of a missing tooth. It is topped with a crown, or used to anchor a bridge or denture. New data indicates a relationship between obstructive sleep apnoea (OSA) and problems with dental implants. Bruxism is commonly seen in patients with OSA. A person who bruxes clenches and tightens the jaw excessively at night. Bruxism can trigger implant failures including fracture or decementation of the crown, damage to the implant itself, or loosening of the implant. The Journal of Oral Implantology recently released findings from a study conducted in Spain. Of the 67 participants, 16 experienced implant complications. Thirteen of those 16 – more than 81 percent – had OSA! Once OSA has been diagnosed through a proper sleep study, the dentist can custom-fit a mandibular advancement splint from SomnoMed. This small device is worn at night to hold the mouth slightly open and the jaw forward, keeping the airway clear. Dr Rose suffers from sleep apnoea and can share with you how the use of a mandibular advancement splint has improved his sleep apnoea, protects his implants and saved his marriage. In cases of severe OSA, the splint can also dramatically improve CPAP therapy. Protect your sleep and your dental work! Contact Smile in Style for a sleep apnoea consultation. In Sunbury, the number is 03 8001 6021, or call 03 8400 4104 in Moonee Ponds.